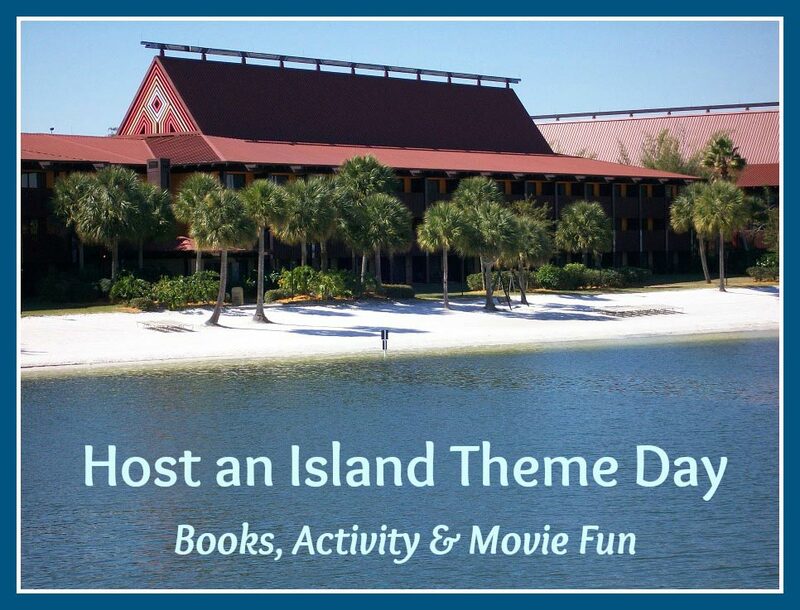 movies & island fun right in your own backyard! Get into the island mood by wearing summer clothes - let the kids wear bathing suits if they want! If you have any leis Hawaiian Lei around the house (those Hawaiian flower necklaces), put them on. Use beach towels is you're doing to watch a movie, read a book together or as a place to have a picnic lunch. What's an island day without some water fun! Head to a local pool for some water fun. If you don't have a pool available, try running through the sprinklers or if you have young kids, let them 'swim' in the bathtub! Nim's Island is a fun movie about the adventures of a girl and her father, who live on an unknown island. It's based on a book (shown below) so consider doing a read-aloud with the kids. Introduce your kids to one of the original 'island' tv shows,Gilligan's Island . No matter what your age, there's lots to laugh at with Gilligan, Ginger, the Skipper & Mary Anne! The Little Island by Margaret Wise Brown explores the life of a little island. The Island of the Skog by Steven Kellogg tells the story of a group of mice who decide to leave the city and live on an island. My Little Island by Frane Lessac is a Reading Rainbow book and a beautiful story about an island that's home to a volcano. Nim's Island by Wendy Orr is a must read before watching the movie by the same name. It's a very short chapter book. The crew from the A to Z Mysteries series explores The Invisible Island - this is a great series for kids who enjoy mysteries that aren't too scary. A classic, The Boxcar Children's Surprise Island by Gertrude Chandler Warner has the Alden kids finding all kinds of surprises on a island close to home. Island of the Aunts by Eva Ibbotson is a GREAT fantasy read (kids who love "Harry Potter" will really enjoy this author) about a hidden island, magical creatures and kidnapped kids! Island of the Blue Dolphins by Scott O'Dell is a survival tale about a 12-year-old girl who escapes hunters and is stranded alone on an island. The first book in Gordon Korman's Island series (titled Shipwreck) tells of 6 kids who are stranded at sea and must work together. We're sure your kids will ask to read the next 2 books in the triology as soon as they finish this one!